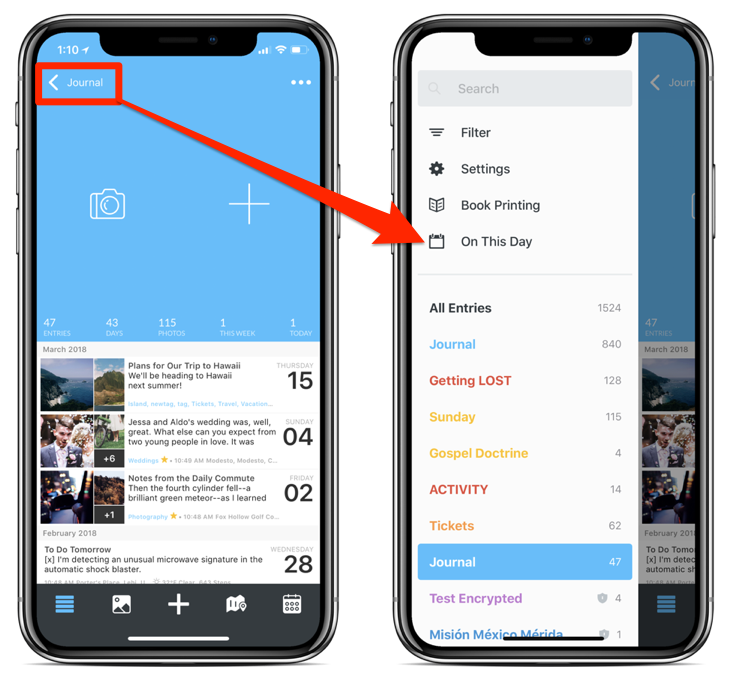 When you open Day One each day, you can see a notification at the top of the Timeline of entries you have On This Day in years past. Tap on it to view these entries. If you dismiss this notification, you can access On This Day entries by tapping the Filter icon > On This Day. You can access entries from any date as well using the Calendar view. Tap any date in the Calendar to see options for On This Day. On This Day notifications can be adjusted in Day One > Settings > Notifications & Reminders > On This Day. On This Day can now be disabled on a per-journal basis (starting in version 2.7.1). 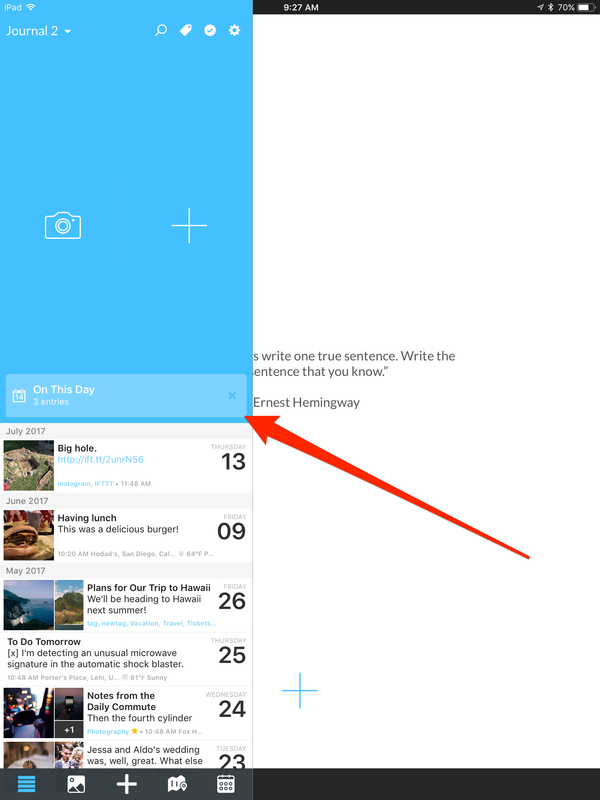 Go to Day One > Settings > Journals > tap a journal > Show in On This Day.